/ How much do YouTubers make? If you like to watch short videos about just about anything in the world, chances are you’ve found yourself on Youtube. Youtube is a video sharing website created in 2005 and has grown to be one of the most well-known video sharing websites out there. With hundreds of millions of hours of videos, you can find a video on literally everything you can think of. While you can troll around Youtube watching random videos, there are hundred of people and groups who have turned their Youtube videos into a salary-earning business. Youtube is not just an American website. Some of the most well-known people uploading videos with various styles and subjects are from all over the world like Sweden, Germany, and Brazil. Gaining international pseudo-celebrity status, some people have been able to stand out from the crowd with comedy skits, video game play, and even rap battles. WIth millions of subscribers and tens of millions of views, some people have been able to make a career out of posting original video content that entertains people so much they come back to them regularly to view new content and re-view old. Aside from entertaining us, these popular Youtubers are also earning money. Once you have secured an audience for your videos, you can start to enable monetization which allows Youtube to place ads in your video. In order to do this, you need to be certain you have no copyrighted material in your video. 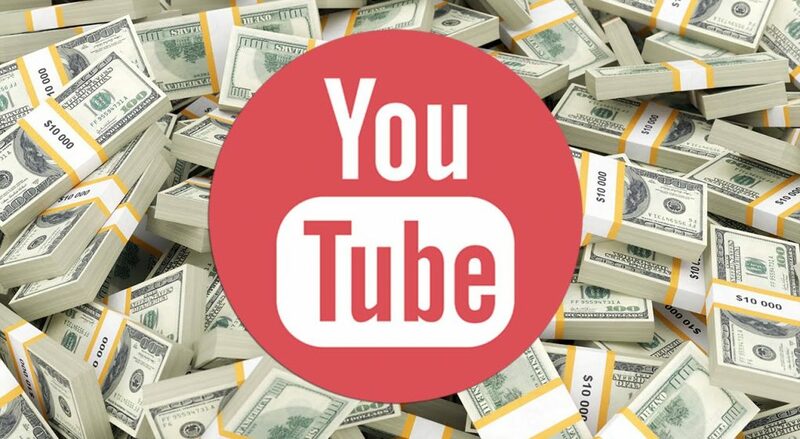 Youtube will pay you a small fee for ad clicks and video views. You are also well served to get links to your videos anywhere you can. If you have a blog, pimp your videos there. If you can get others to post links to your videos, take advantage of that option. The more places people are exposed to your video, the more clicks your videos get and the better for you. Bringing people to your videos will raise your views, which in turn will earn you more through Youtube’s ad monetization, but this will not be enough to quit your day job, until you start to get millions of subscribers and tens of millions of views. Aside from getting your links out there, you want to place affiliate links when you review a product. Affiliate links bring someone from your page to theirs. For example, if you review tech products, link to the product on Amazon and hope for your subscribers to purchase it from Amazon. Depending on what you are reviewing, you can earn a decent amount of money this way. You can also make money on Youtube by simply promoting real products on your site. If you are popular enough, especially in certain demographics, companies will pay you to promote their product. Like a sponsorship, you can form relationships and negotiate contracts with companies you know your audience will be interested in. For these relationships to work, you need to know who is watching you – demographics is very important to get you higher payouts. Sponsorships can pay you per video views, or per click to their site. Another way Youtubers earn money is with public appearances. Whatever your niche, there is a public forum for you. Look for conferences and industry events related to your niche and get paid to be a keynote speaker. Keynote speakers can earn a few thousand dollars. Or get some space at any number of industry events like VidCon or PAX and sell t-shirts promoting your site. You can sell your photos and autograph as well as anything related to your Youtube niche. Depending on how many subscribers you have, some conventions will pay you to make an appearance. The bottom line is you can make money posting videos on Youtube, but it not easy to make a lot of money. Aside from needing a large following, you need to put some serious work into it. Building your fan base is the first step to earning enough money to turn Youtube into a career. After you’ve found your niche, start working on your earning option through Youtube, Amazon, sponsorships and conventions. Just don’t expect to get rich quick, even if you are highly entertaining and unique. But don’t get discouraged either – keep at it and if you love it enough, so will others, and they will eventually be willing to pay you to entertain them.